Sounds like a fun book! I love the way the words flow. Thanks! Wow – 9 MILLION? That’s incredible! My daughter absolutely loved this series of books. When we visited NYC when she was 8, we had to visit the Plaza. To answer Beth’s question, “No, I don’t think so.” I think kids like to daydream about super heroes like Eloises — and she was that for girls. I wrote a comment and posted. Don’t know what happened. Hope I’m not posting twice — if so, delete on. My daughter loved Eloise! When we visited to NYC when she was 8, we had to stop by the Plaza. It allows little girls to day dream about being michevious, and unruly. 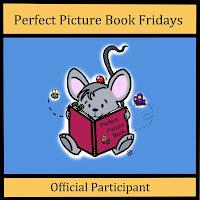 This books belongs on our PPBF list! My Mom Person grew up with Eloise. She even had an Eloise doll. Eloise was her hero. And because of that her daughter and granddaughter and dog have all grown up with Eloise! We LOVE Eloise! 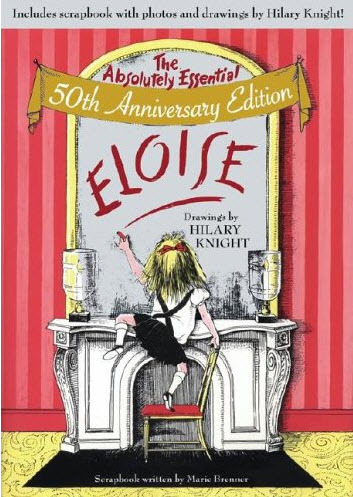 I only found the Eloise books after my kids read them at a friend’s house – maybe we never saw them in the library because they were always out! 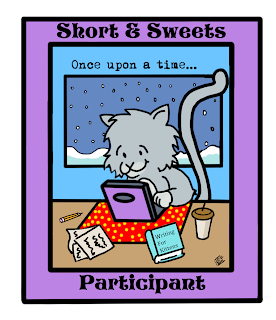 A fun story is timeless, but my kiddo couldn’t handle that word count right now. What a fun character study though. It’s funny how looking at the book by today’s standards we are sort of like — no that’s not appropriate for a kid to be running around a hotel unsupervised. I didn’t grow up with Eloise, but I grew up with illustrator Hilary Knight. This is a great pick. When I first read this with my son, my then-6-year-old thought Eloise’s antics were hilarious because he knew they were completely not allowed! Ah, Eloise! That is a true classic.